It’s quince season in Istanbul, and when I walk by the crates of quince outside the markets on my way to work, I am always reminded of how much I love avya tatlisi (quince dessert). I was first introduced to it at my friend Berra’s house when her mom made a delicious home cooked meal followed by ayva tatlisi. 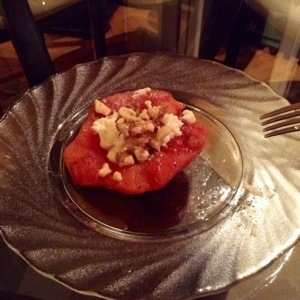 At the time, my friend Alia had snagged the recipe and I wish I had, too. Back at school, I admired the freely growing quince trees on our university’s campus and pondered over how someone could make something so dry and woody when raw, taste so scrumptiously good! Many a foreigner has mistaken the yellow fruit for an apple or pear only to find themselves terribly mistaken. 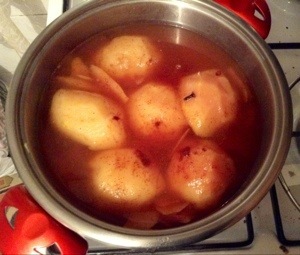 This winter I decided to finally try my hand at making ayva tatlisi. I perused the internet for recipes and decided to go with the recipe from Ozlem’s Turkish Table with some help from Olga’s Delicious Istanbul. When all was said and done, the ayva turned out okay. Not as red as in the restaurants, but I knew I wouldn’t be able to achieve that on my first try. 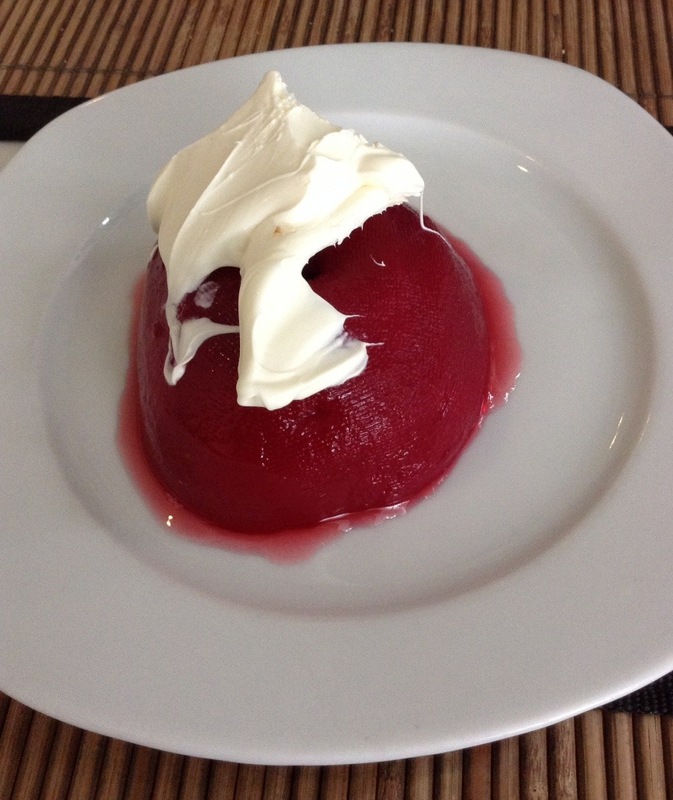 I also didn’t have high quality kaymak – our normal kaymakci had run out early since it was Sunday, and I had to resort to the supermarket’s kaymak (clotted cream). The boyfriend liked the finished product but had a strange look on his face and appeared to be inspecting the ayva. Finally, he told me that ayva tatlisi is not supposed to have cinnamon in it. As soon as he said it, I knew he was right. Come to think of it, I had never had ayva tatlisi with cinnamon on it either. The cons: None – I love this place! Dreading another lunch at Kanyon or Metrocity? Can’t find a spot at Küçük Ev in Levent Carşı? Need a quick, quality meal? 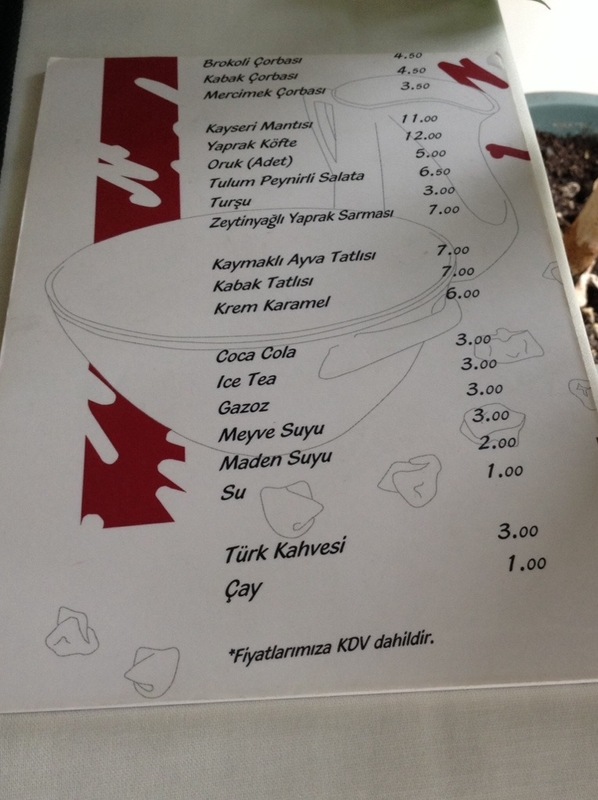 Look no further than Çimdik Mantı. It’s tucked away on the corner of Levent Caddesi and Gonca Sokak, a two minute walk from the Levent metro exit. The decor is simple, the service quick and the menu brief – all great things in my opinion. Although the place makes good mantı (it’s a mantı restaurant after all), the real star is the restaurant’s ayva tatlısı (quince dessert). I’ve been a lover of ayva tatlısı ever since I tasted it at one of my friend’s houses, but this ayva tatlısı takes the cake. 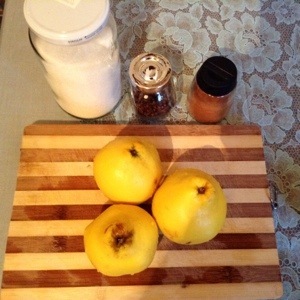 It’s not too sweet, the quince is smooth, and it’s topped with a generous helping of kaymak (clotted cream). I had been raving about the dessert to Gürkan for a couple of weeks until he went with a group of colleagues many of whom ordered up a second helping of ayva tatlısı because it was just that good. 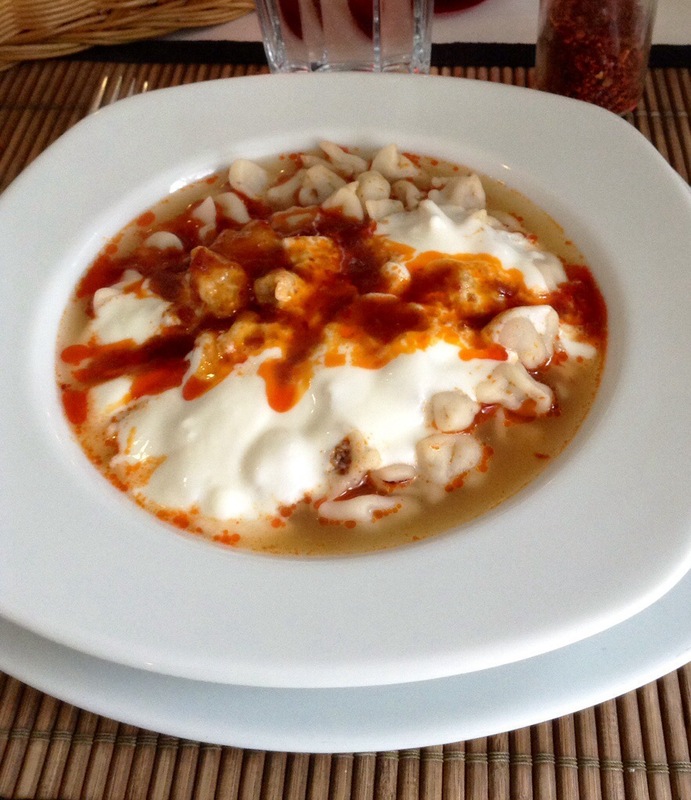 Even without dessert, the mantı is reason enough to visit the restaurant. Sabırtaşı used to be my favorite mantı restaurant, but the portion sizes have been so drastically downsized that Çimdik Mantı is my new go-to mantı place. Each table is stocked up with the obligatory spices of red pepper and oregano – sumac also makes an appearance. The owner told me you can’t have mantı without sumac so I poured it on and I was pleasantly surprised with the result (& happy to discover a new use for sumac!) 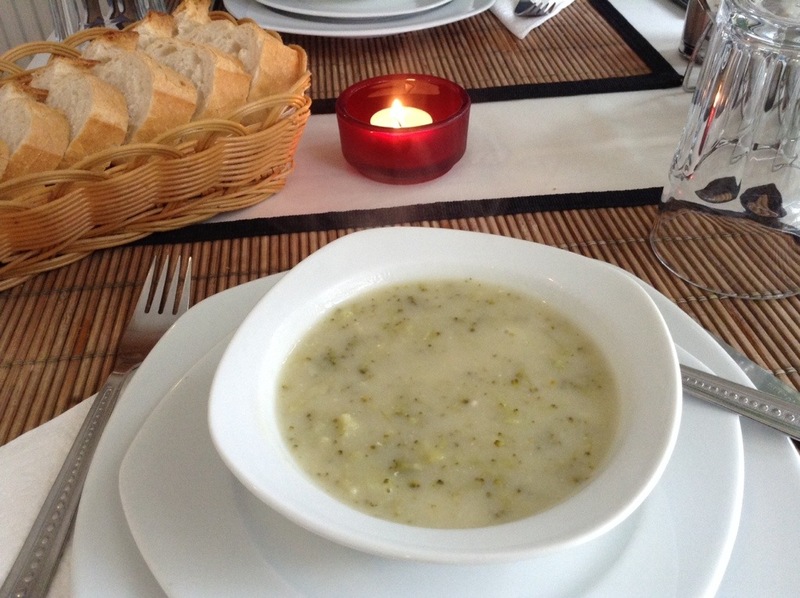 The broccoli soup is also highly recommended – it comes piping hot and actually has real chunks of broccoli in it.